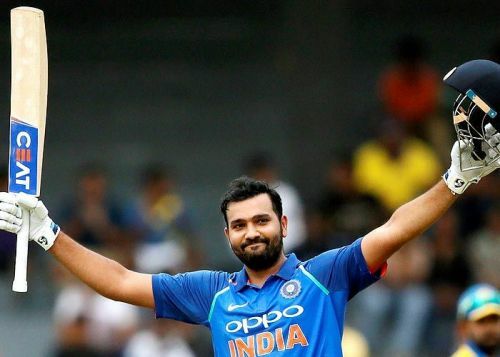 Rohit Sharma has made a habit of breaking records in international cricket. He has been in such mind-boggling form lately that he has started making limited overs batting look like child's play. Today was one such occasion where he kept breaking record after record. The New Zealand captain won the toss and elected to bat first, and thanks to Kunal Pandya's special spell, who bagged three wickets, the hosts were restricted 158 in 20 overs. Only Ross Taylor and Colin De Grandhomme played well for the Kiwis. Chasing a modest target, India were off to a flying start and Rohit kept finding the boundary in almost every over. India reached the target without much trouble, and also leveled the three-match T20I series in the process. During the course of his innings, the stand-in captain Rohit became the first Indian to smash 100 sixes in T20Is. He also became the leading run-getter in T20Is. 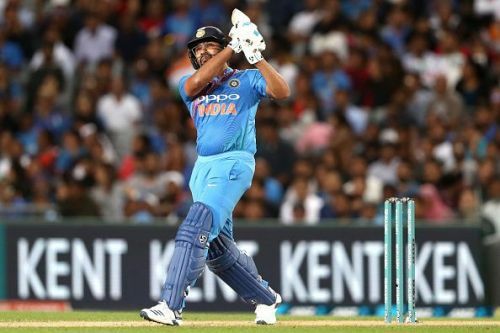 Rohit Sharma, along with KL Rahul, holds the record of hitting the most fours - 12 -by an Indian in a T20I innings. The Mumbai right-hander, however, has done this twice. The first time was when he scored his maiden T20I century against South Africa in 2015. The next time he did it was when he scored another century, this time at Indore. India might not be blessed with a lot of six-hitters currently, but there are a handful of players who can smash boundaries. The likes of Virat Kohli and Shikhar Dhawan love playing ground shots, and both of them are yet to score a century in the shorter format. It is possibly just a matter of time before Kohli and Dhawan get to their maiden T20I century. And when they do, they are likely to hit more than 12 fours in the innings.